The Mahindra XUV 500 Facelift brings a decent amount of new kit to the flagship SUV from Mahindra. Here are five big changes it has recieved with this update. The XUV 500 has been one of the top-selling cars for Mahindra in India since its launch. It stands as the flagship product for the homegrown automaker and marked its entry into the premium spectrum. The XUV 500, hasn’t changed much in terms of the basic design since it was first launched. However, the company has given it several makeovers in the past to keep the design fresh and its equipment list at par with the competition. The 2018 upgrade is a similar affair. In this report, we tell you five major changes which the Mahindra XUV 500 has recieved with the latest update. What All Has Changed With The Design? Let’s first talk about the exteriors of this SUV. The 2018 Mahindra XUV 500 comes with slight revisions in its design. From the front, the SUV looks more or less the same as before. However, it now comes with a redesigned grille with chrome highlights that add a bit more character to the front end of the vehicle. Furthermore, the headlamps are also redesigned and feature projector lamps. The SUV also gets LED daytime running lights. In addition to these, the XUV500 will also get new ORVMs and alloy wheels. At the back, the fascia of the SUV features major changes. It now comes with completely redesigned tail-lamps. Coming to the interiors, we have to say that the overall design of the cabin remains identical to the current spec version. However, it now comes with several modifications which provide a fresh feel. For instance, the dashboard now comes in a different colour scheme. Furthermore, to add to the premium feel, the 2018 Mahindra XUV 500 comes with soft-touch points on the console. It Also comes with a new climate control unit. In addition to these, the car further gets more cubby holes and smart storage spaces. Adding to the up-market feel are the faux aluminium and piano black inserts on the central console. Also, Mahindra will provide leather wrapped seats on the top-spec variants, increasing adding to the premium appeal. Has The Feature List Gone Up? In addition to the design updates, the new XUV 500 also comes with a number of new features as well. Primary of these is the new touchscreen infotainment system which offers Android Auto and Mirror Link connectivity options. Furthermore, the SUV comes with automatic climate control, height adjustable driver’s seat, tilt adjustable steering wheel, steering wheel mounted audio controls to name a few. In addition to these, it is going to come with features like follow me home headlamps, automatic headlamps among the others. Does It Get A New Engine? 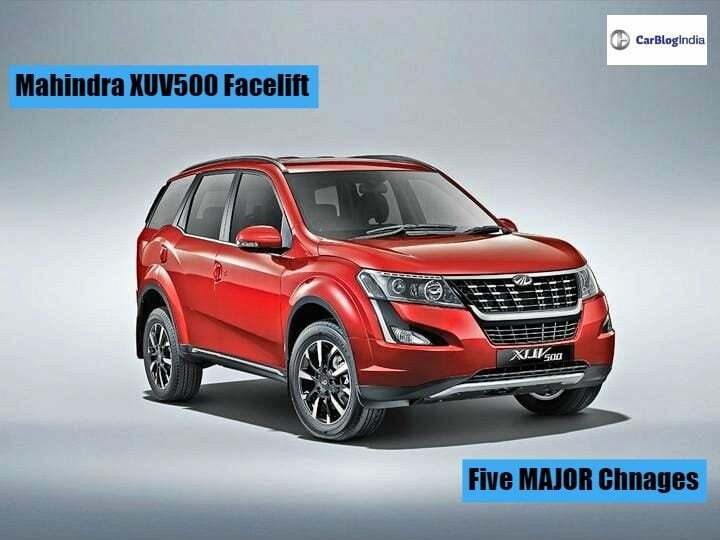 No, the 2018 Mahindra XUV 500 Facelift comes with the same engine as before. However, this 2.2-litre mHawk diesel engine is slightly retuned. It will produce 155 BHP along with 360 Nm of peak torque. This is thanks to a new turbocharger. The diesel engine is going to come with a 6-speed manual gearbox as standard across the range. Expect for the base variant, all the other trims will offer the option of an automatic gearbox. The petrol variants are going to get a 2.2-litre engine which pumps out 140 BHP of power. This one comes as standard with an automatic gearbox only. 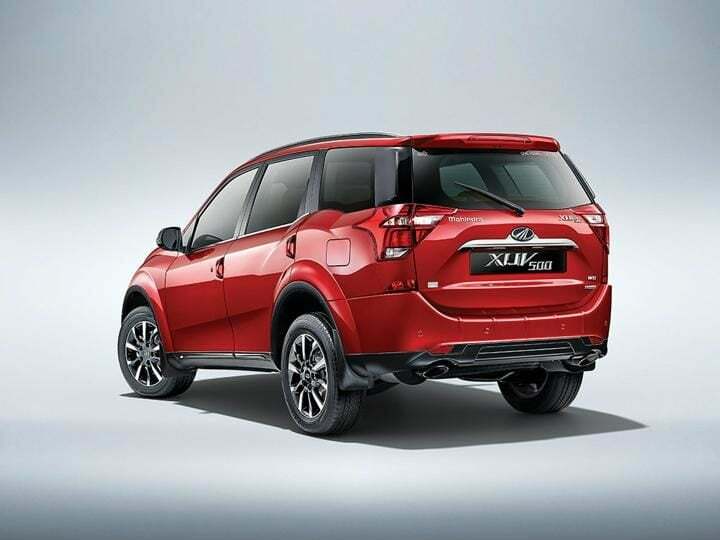 In the Delhi-NCR region, the XUV500 will retail with a 1.99-litre diesel mill. Also Read: 2018 Mahindra XUV 500 Facelift Vs Older Model- What’s The Difference? In terms of mileage, the 2.2-litre diesel engine promises a fuel efficiency of 16 km/l. While the 2.2-litre petrol engine also promises a mileage of 16 km/l. Coming to the price, the base variant of the 2018 Mahindra XUV 500 is going to retail at a price of INR 12.32 lakh. While the top-end version goes for a price of INR 17.88 Lakh. The petrol variant will retail at a price of INR 15.43 lakh. In the previous generation, the prices of the INR 12.78 lakh to INR 8.89 Lakh. With this, the XUV500 fall right in the pack with the Jeep Compass and the Tata Hexa.